Memories of the German presence in the central Volta Region of Ghana are deep and vivid. This ethnically diverse area was part of the German Togoland colony from roughly 1884 to 1914 but German-speaking missionaries established stations earlier in the mid-nineteenth century. Ghanaian oral historians describe the violence, burdens, and inconveniences they associate with German rule, yet place greater emphasis on the introductions by German missionaries of Christianity and western education and the prevalence of what they say was the “honesty,” “order,” and “discipline” of the German colonial period. 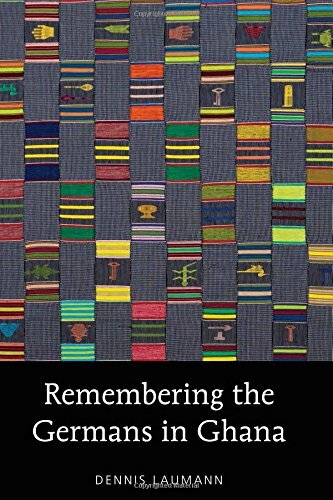 Remembering the Germans in Ghana examines this oral history, scrutinizes its sources and presentation, contextualizes it historically, and uses it to make larger arguments about memory and identity in Ghana. It also presents the case for more deliberate and extensive use of oral history in reconstructing the African colonial past and provides a methodology for its collection and analysis. View More In Latin America.